Of the 200 or so palm species only a few are able to be grown indoors where the climate is so challenging for any plant. 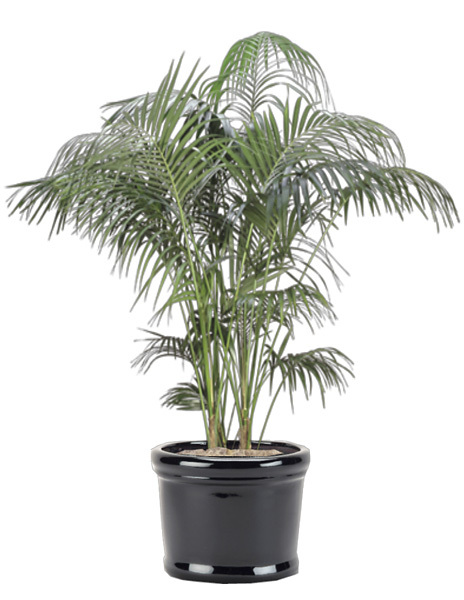 The palm has to adapt to low light, extra dry air, drafts, and being in a confined space. It also should be a slow grower so it stays house size. 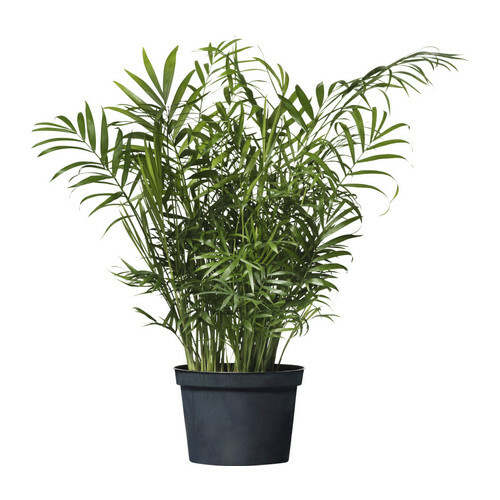 The following 3 palms have been selected because they are suited for indoor growing and they are commonly sold. The first is “Lady Palm”, Rhapis excelsa. It grows 6-8ft tall and makes a clump of brown hairy stems with dark green glossy leaves. It grows slowly from underground rhizomes. The leaflets are palmate like “a lady’s hand” and the leaf ends are saw-toothed unlike most palms. 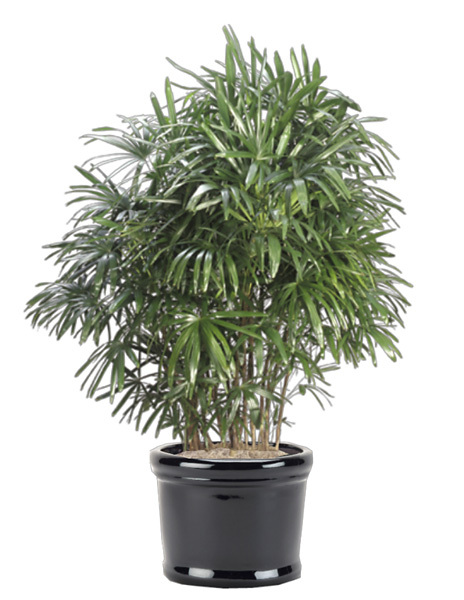 The second is the “Parlor Palm” Chamaedorea elegans. It is the palm seen in Victorian homes in the movies. It is a slow grower, growing to 6-7’. 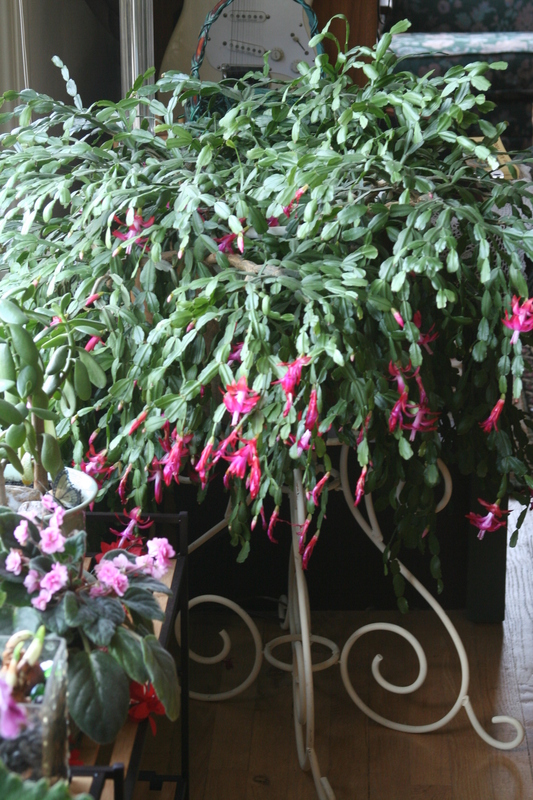 It tolerates low levels of humidity and light, though it prefers medium to high humidity and brightindirect light. The third is the Kentia, sentry or thatch palm Howea forsteriana. It is a slow grower eventually growing to about 10’ tall. Like the others it tolerates indirect light but needs good drainage. I have three Lady Palms which I take outside in a shady place on my deck when the last frost is past, white in our USDA Zone 7B is sometime in late May. Palms can stay outdoors until threatened by frost in Oct/Nov. Before bringing them indoors, prepare them for their winter home by clipping off dead leaves and spraying them off a few times with a strong blast from a hose and inspecting leaves for insects. Inspect all leaves very carefully for any bugs and if you see any spray plant with Safer pest control before bring plants indoors. Place our palms indoors next to the big south facing sunny window and cover any furnace vent openings located close to them with a piece of carpet. They may suffer some indoors during the winter, but they survive so they can thrive and grow next year on my deck. 1) They do not like to get too dry, so when the soil is dry down to about an inch I water them thoroughly. 2) You can’t prune palms to make them shorter. They only grow from the ends and once that is damaged the whole stem dies. This also means if they get too tall for their space you must give them away, or find a place indoors with more height.